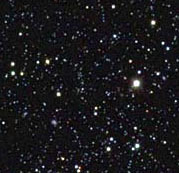 When astronomers look through their telescopes, they see billions of stars. How do they make sense of all these stars? How do they classify stars into types, and how do they tell which types are common and which are rare? Most importantly, how do they use the star types they see to learn useful information about stars?  If you have already completed the Color project, you learned one way to understand stars: stars with different colors have different temperatures. In the Colors project, you looked at the thermal radiation curves of several stars. You found the peak wavelengths of these curves and calculated the temperatures of the stars. However, you might have wondered what happens when a star's peak wavelength is not visible on our spectrum. For a very hot star, the peak wavelength may be well into the ultraviolet wavelength range. For a very cool star, the peak wavelength may be well into the infrared. Do astronomers have other ways to find the temperature of a star from its spectrum, even if the star's peak wavelength is too short or too long to show up? If thermal radiation were the only source of light from a star, the star's spectrum would be a nice smooth curve. However, actual spectra observed from stars have a series of peaks and valleys as shown in the spectrum below, meaning some of their light comes from "non-thermal" radiation - light emitted or absorbed by a process other than random jostling of atoms. In the next section, you will learn what this process is. Many of these peaks and valleys have labels on them. You may recognize some of these labels as the symbols of chemical elements. Before you find out what these letters mean, take a shot at developing your own system for classifying stars based on their spectra.